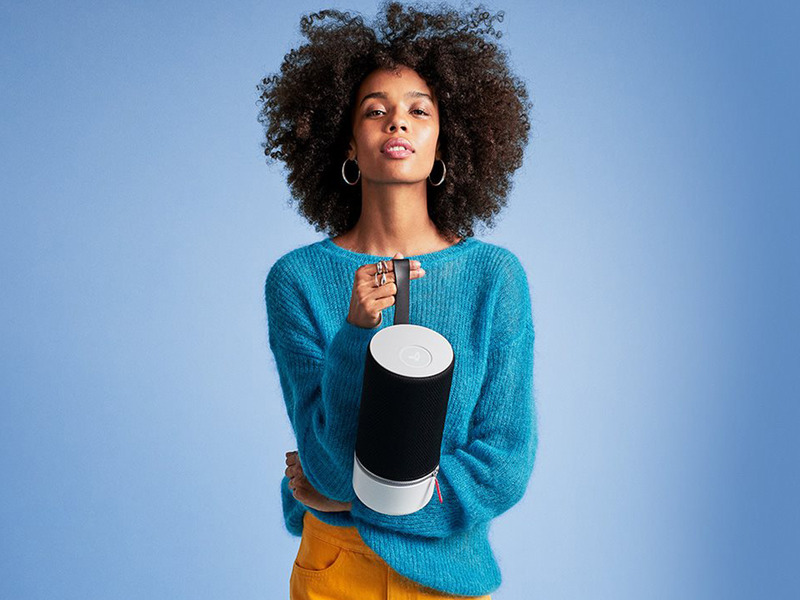 The Libratone Zipp 2 is a follow-up to the original Libratone Zipp but integrates smart speaker features and improves on sound. The speaker is beautifully designed, plus it’s portable and has a 12-hour battery life when fully charged. It may be a little pricey at $299 on Amazon, but for a quality portable model, it’s the best speaker out there. Smart speakers are cool, but dozens have been released in the past few years to the point where simply having smart features isn’t really enough to sell a speaker any more. Libratone has been making decent speakers and headphones for some time now and recently unveiled the Libratone Zipp 2 (currently $299 on Amazon) and Zipp 2 Mini (currently $249 on Amazon). The speakers boast Google Alexa and Apple AirPlay 2 support, a unique design, and more. I’ve been testing out the Libratone Zipp 2, which isn’t cheap at $299, but worth buying based on my experience. Here’s why. If you’ve seen Libratone Zipp speakers before, you’ll immediately recognize the Libratone Zipp 2. The speaker has a classy-looking fabric covering on the top four-fifths and white plastic on the bottom. It’s available in a number of different colors including Black, Green, Gray, and Red. I’m reviewing the black version and find that it looks great; this speaker could look right at home in any environment or on any shelf. On the top of the speaker, there’s a small control panel that changes the settings, stores playlists, controls volume, and more. On the back of the speaker, you’ll get a power input, power button, and a USB port — which is a nice addition for charging your phone overnight in case you keep the speaker on your nightstand. There’s also a handle on the back of the speaker so you can carry it around when the battery is nice and charged up, along with a 3.5 mm jack for plugging into wired audio sources. In general, the Libratone Zipp looks great and is clearly well-made and durable.